I’ve been looking through some boxes of old stuff recently.Mainly I’m trying to find my old Jonathan King 45rpm singles but I’m forever getting side-tracked as I unearth things I’d forgotten I still had. My first thoughts were to put this rubbish in the bin/on EBay. Instead I started reading these books and really enjoyed them. The extremely short lived MF Comics were from Myron Fass. He specialised in odd magazines about UFOs and the like. Often he would produce one-shot magazines to cash in on whatever was the topic of the day. In the mid sixties as Marvel Comics took over the world numerous companies tried to emulate them like Tower and Archie/Radio/Mighty. How Myron thought he could get away with stealing a well-known name like “Captain Marvel” for the hero and “Doctor Fate” and “Doctor Doom” for two of the villains I’ve no idea. 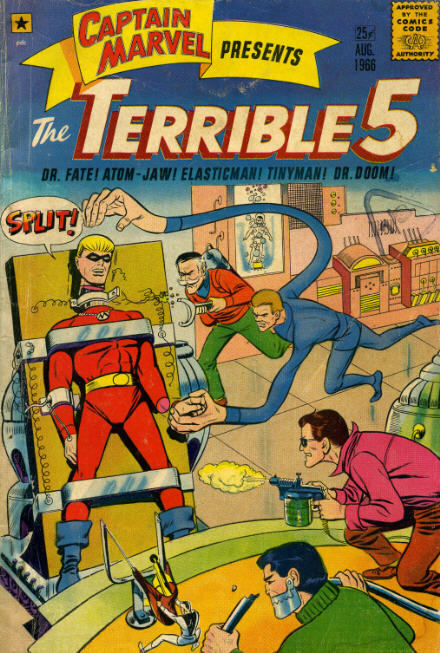 Even “Elasticman” and “Tinyman” are derivative. The story was written by Carl Burgos, who was the guy who wrote the original Timely “Human Torch”. Like the Torch, this ersatz Captain Marvel was an android. Rather than bursting into flame he “split”. Just as dangerous as setting yourself on fire. Don’t try this at home kids! 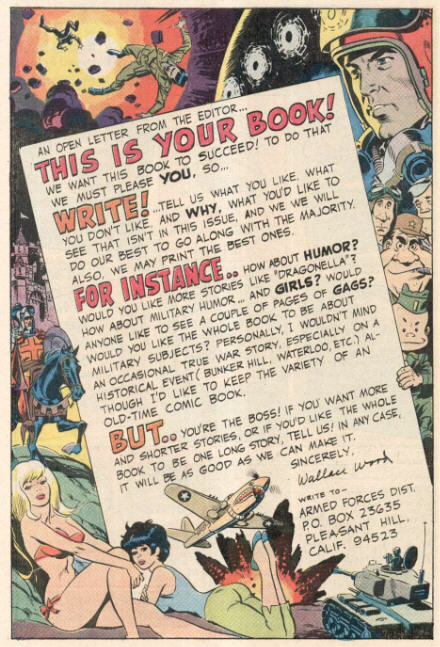 This comic was a solo Wally Wood effort apparantly mainly sold on Army bases. It would have benefitted from an editor (and a writer) . Wally did lots of “Cannon” he-man stories. I prefer the more humerous side of him as seen in “Dragonella” and “The Misfits”. Wally wrote an editorial asking for feedback. There would only be one more issue and I believe that came out a few years after issue No 1!! Now back across the atlantic. My groaning shelves still hold a number of Annuals like this. In the UK annuals were an annual Xmas treat. Usually first on sale around September in good time for massive Xmas sales. Aunts/Uncles/Parents would buy these books for children of all ages. If you were lucky you’d get the “Dandy” or “Beano” Annual. If you were unlucky you’d get the staid but worthy “Boy’s World”. 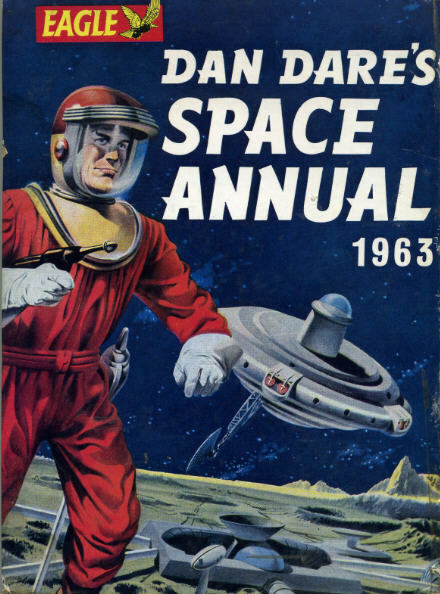 Even by 1963 Dan Dare seemed old-fashioned.